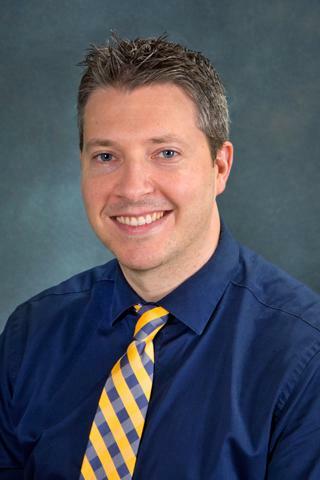 Joseph D. Kuebler, M.D., M.B.A.
After medical school at the Jacobs School of Medicine and Biomedical Sciences in Buffalo, NY, Dr. Kuebler completed his pediatric residency at Yale New Haven Hospital as well as a year as a chief resident. He then went on to do a pediatric cardiology fellowship at Boston Children's Hospital/Harvard Medical School including a year of advanced cardiac imaging (TEE, fetal echocardiography and cardiac MRI). Most recently, Dr. Kuebler returned to western NY for a pediatric critical care fellowship at the University of Rochester Medical Center/Golisano Children's Hospital and is now an assistant professor of pediatrics in the divisions of pediatric cardiology and critical care. His clinical focus is in the pediatric cardiac intensive care unit as well as fetal cardiology and cardiac MRI. Kuebler JD, Ghelani S, Williams DM, Nathan M, Marx G, Colan SD, Harrild DM. "Normal Values and Growth-Related Changes of Left Ventricular Volumes, Stress, and Strain in Healthy Children Measured by 3-Dimensional Echocardiography." The American journal of cardiology.. 2018 Jul 15; 122(2):331-339. Epub 2018 Apr 24. Bounds RL, Kuebler J, Cholette JM, Alfieris GM, Emani SM, Wittlieb-Weber CA. "Left Main Coronary Artery Atresia in an Infant With Inclusion-Cell Disease." World journal for pediatric & congenital heart surgery.. 2018 Mar 0; 9(2):246-250. Epub 2016 Sep 12. Kuebler JD, Shivapour J, Yaroglu Kazanci S, Gauvreau K, Colan SD, McElhinney DB, Brown DW. "Longitudinal Assessment of the Doppler-Estimated Maximum Gradient in Patients With Congenital Valvar Aortic Stenosis Pre- and Post-Balloon Valvuloplasty." Circulation. Cardiovascular imaging.. 2018 Mar 0; 11(3):e006708.